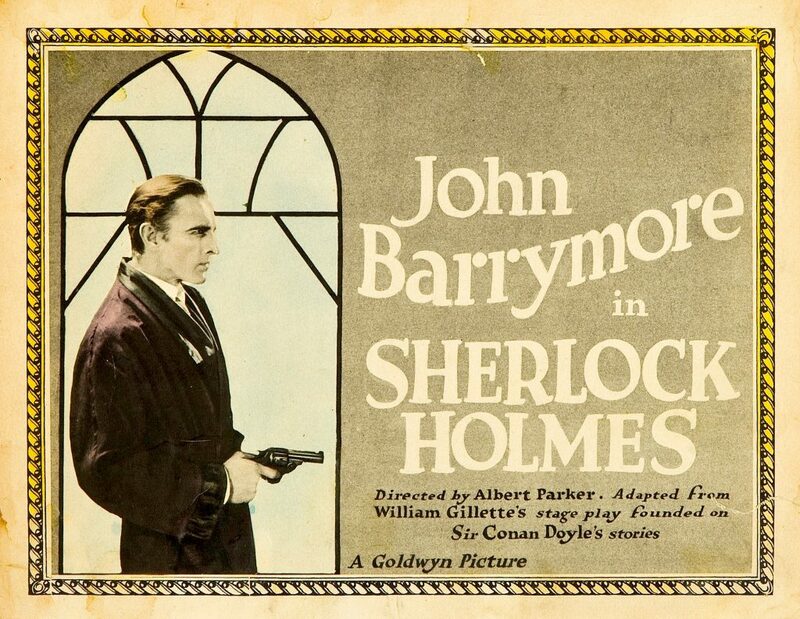 Sherlock Holmes (released as Moriarty in the UK) is a 1922 American silent mystery drama film starring John Barrymore as Sherlock Holmes and Roland Young as Dr. John Watson. The movie, which features the screen debuts of both William Powell (credited as William H. Powell) and Roland Young, was directed by Albert Parker and written by Earle Browne and Marion Fairfax from the 1899 play by William Gillette based upon Arthur Conan Doyle’s characters, and was produced by Goldwyn Pictures Corporation. The film was considered lost for decades, but was rediscovered in the mid-1970s and restored by George Eastman House.